Academic Research for Clinical Outcomes (ARCO) is approved as a Qualified Clinical Data Registry (QCDR) for 2019. ARCO is a health collaborative with ReportingMD focusing on outcomes management to foster clinical quality integration. ReportingMD services and solutions assist providers from all ambulatory practices with the ability to proactively manage their patient populations through frequent automated data exchange. Together, through the collection of data from all payers and the transformation of financial and/or clinical data into meaningful results, our clients gain insight and understanding to implement improvements in clinical outcomes and patient care delivery. Specifically, we define the gaps in care needed to successfully manage patient care, identify process improvement opportunities, and facilitate the adoption of evidence-based medicine, thus changing the way physicians practice medicine. ARCO works collaboratively with various University Health Systems to promote clinically integrated environments and to ensure the utilization of clinical best practices with the goal of improving population health through evidence-based care. ReportingMD’s Clinical Quality Data services include workflow review and process optimization to enable the closure of care gaps and improvement in population health. We also provide educational opportunities for our clients with the overall goal of process and performance improvement. Our analytic and technical capabilities include use of risk-adjusted benchmarks within the Total Outcomes Management solution to allow on-going, peer-based performance evaluation and monitoring at the practice, specialty, regional, or national levels. Population Health Monitoring assists in improving outcomes and reduces costs through Registry facilitated projects, accompanied by effective research and consultation services. 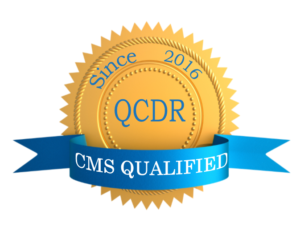 As a QCDR with a certified EHR technology module, ReportingMD is ready to accept data as a specialized registry and will use that data to improve population health outcomes. ReportingMD can receive data generated from Certified EHR Technology (CEHRT) through any appropriate secure mechanism. Manual data entry into a web portal would not qualify for submission to a specialized registry. ReportingMD will submit data through the Qualified Clinical Data Registry (QCDR) method to meet pay-for-performance program requirements.